Click Cartoon a Day for cartoon by Bryant Arnold. Gordon C. Stewart, Chaska, MN, Dec. 8, 2015. 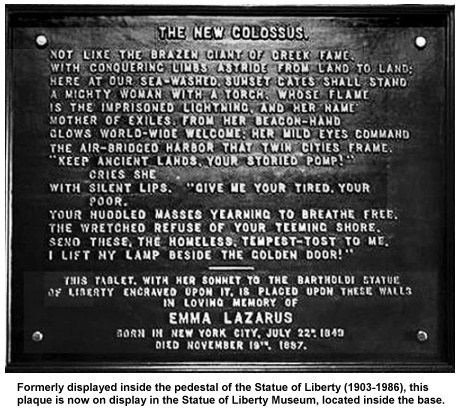 This entry was posted in America, Poetry, Politics, Satire, verse and tagged Donnie Trump, Statue of Liberty by Gordon C. Stewart. Bookmark the permalink. Working on “My Father’s House,” the fictionalized biography of my father who immigrated from Sweden in 1910, I’ve found so many occasions for tears as I follow what has happened to the country of his hopes. Yes, he was personally successful — my good fortune — but his adopted country? I can feel your father weeping, Mona. His new house isn’t what it used to be. The lady in the harbor’s light is being blown out by a clown. There’s something else I want to say. What’s really depressing about Donald Trump is not Donald Trump. It’s that he’s channeling the ignorance and hate so strongly felt by so many people — even people of my own acquaintance who shock me. I had asked one member of the congregation whether he could forgive Adolf Hitler. A week later he told me he’d decided he could, because Hitler was the figurehead focusing the hatred of a whole culture. (I’m not sure that’s exactly the way he said it, but I think I got the general idea.) Any connection? One more thing. I was in Europe, including Germany, shortly after the end of WWII. Buildings were still in ruins. Men — especially in Germany — were without limbs that had been shot away in war. And one of our student guides said to me, “Someday this will come to the Untied States.” I’ve been dedicated for years to the eternal vigilance of the ACLU. Now is the time when we need to have our ears perked and our faces to the wind. A big part of me believes in the ultimate victory of the backlash against the hate and deceit channeling its way through people like Trump.